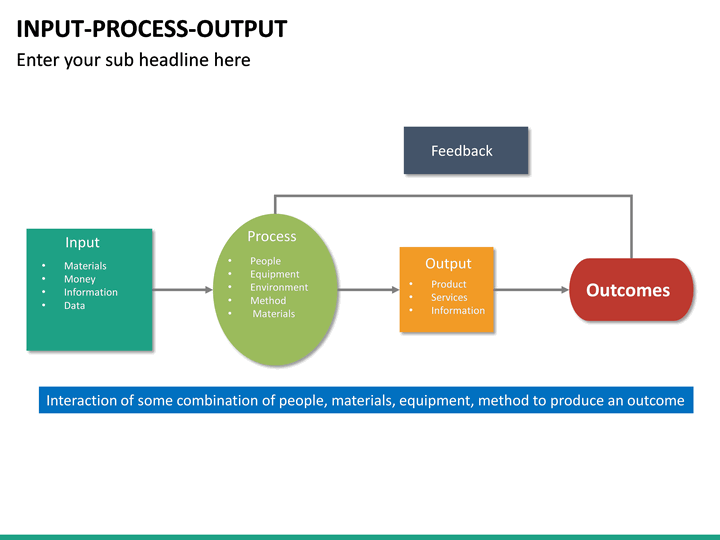 Save your time while drafting your next presentation on Input Process Output with this editable HD template. 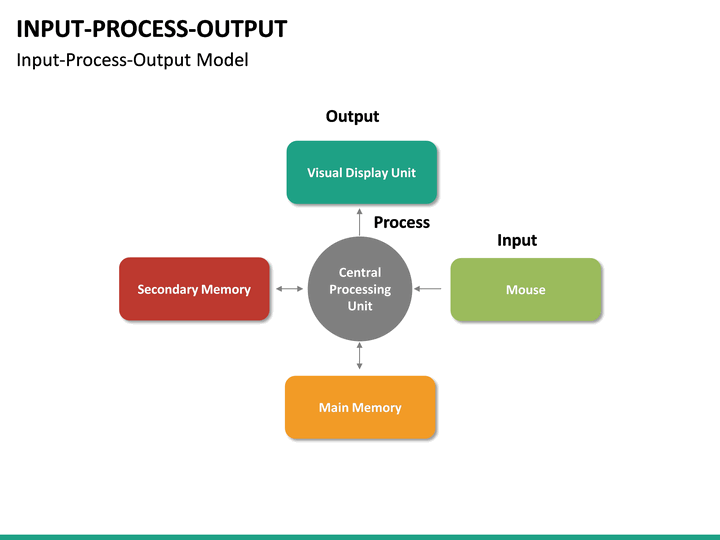 It supports Microsoft PowerPoint, Apple Keynote, and Google Slides. 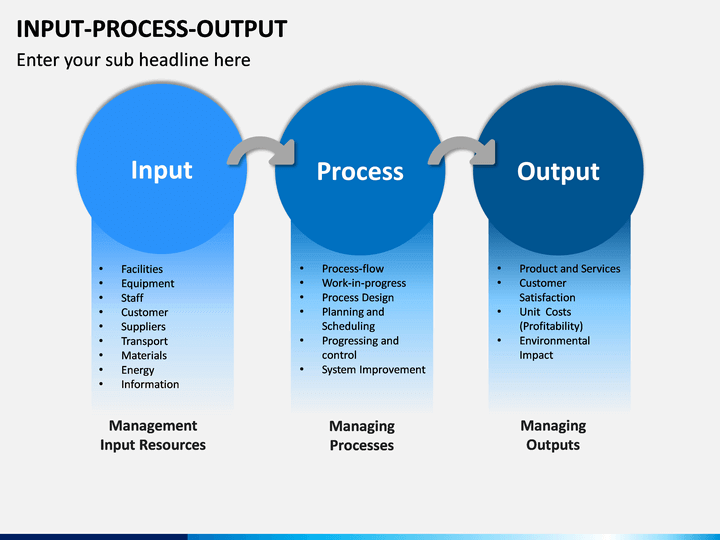 No thanks continue to checkout Input Process Output Template . 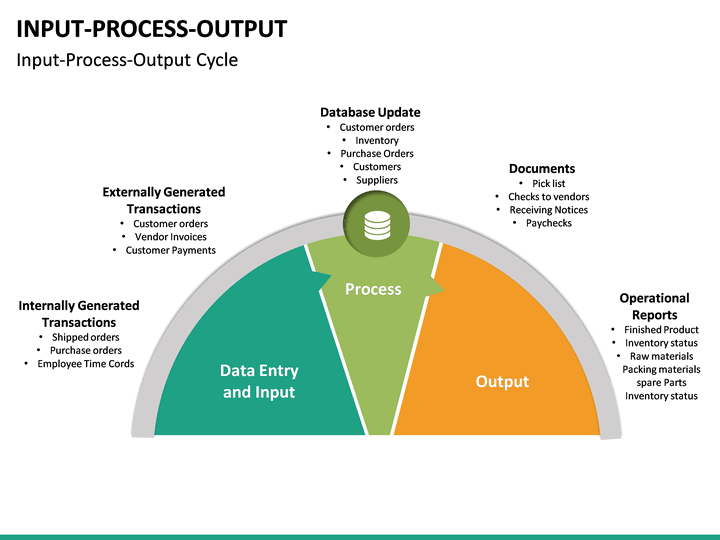 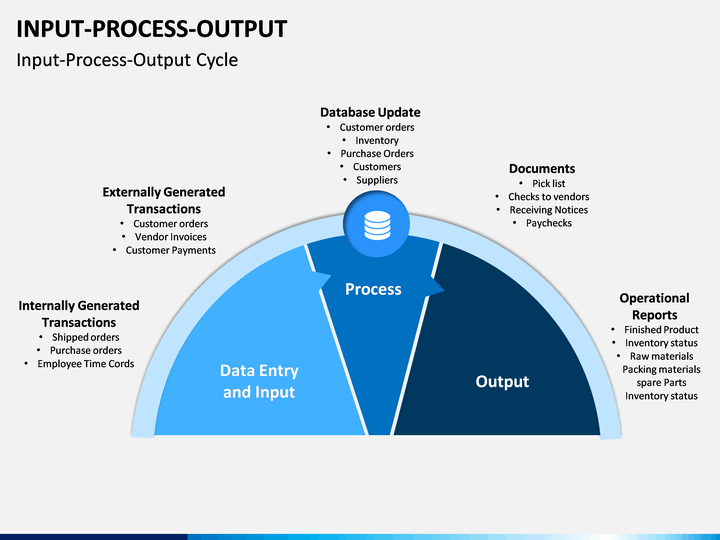 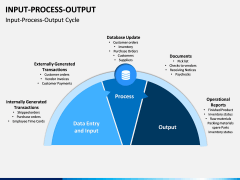 Uncover the details of the Input Process Output (IPO) model using just the perfect visuals with this professionally drafted PowerPoint template. It has included a wide array of numerous engaging and visually appealing illustrations about the subject that can easily be edited. 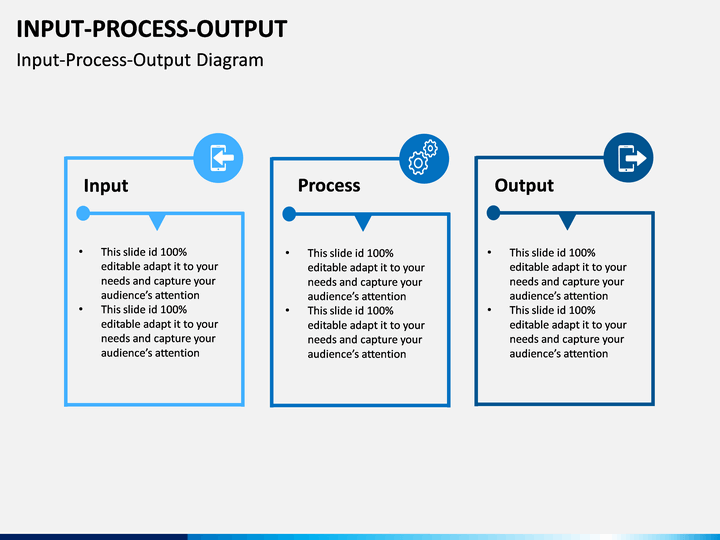 From changing the overall layout of these slides to adding your own content – you can do it all without any prior designing experience. 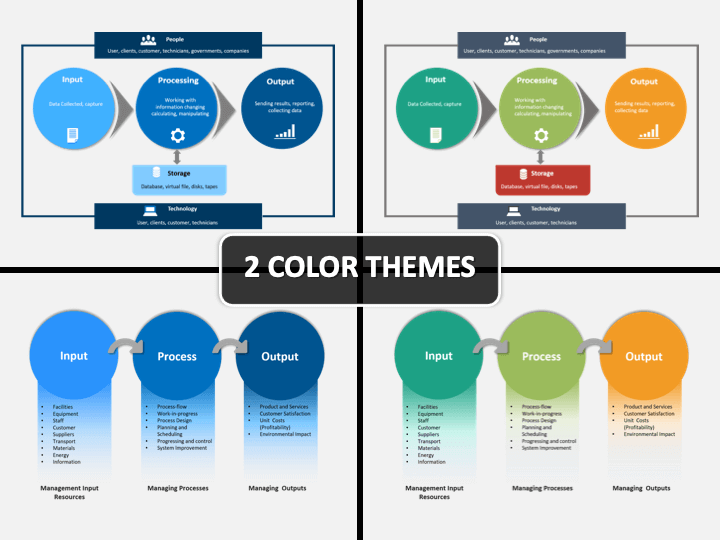 The set can be used to draft engaging PPT slides, Apple Keynotes, and Google Slides. 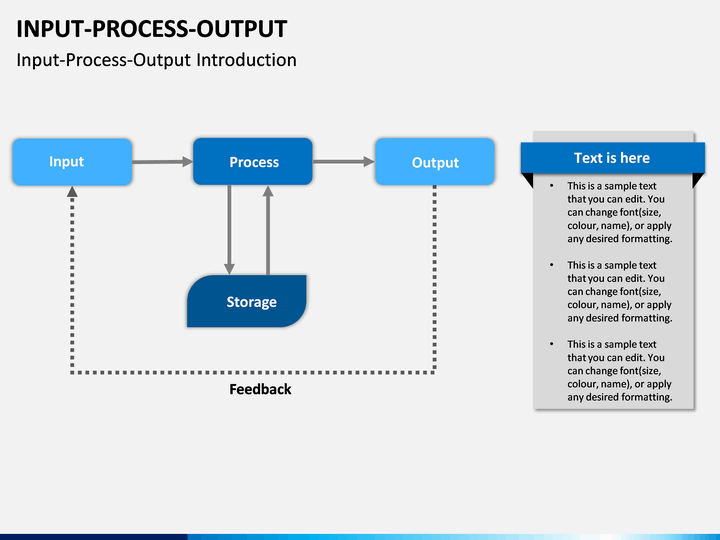 It is based on a master slide for easy edits. It is also available in different color themes and aspect ratios for a hassle-free customization. The template has covered the IPO model in an extensive and visually interesting manner. 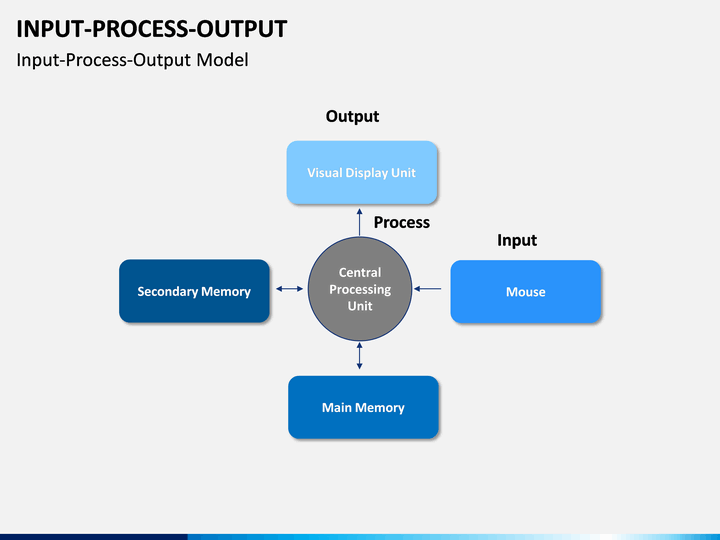 You can explain the major working of its components and how they interact with one another. 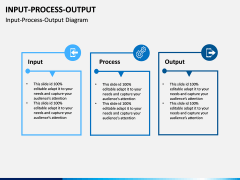 Using these readily available PowerPoint slides, you can provide a conceptual framework of the model, elucidate the overall IPO cycle, and do so much more. 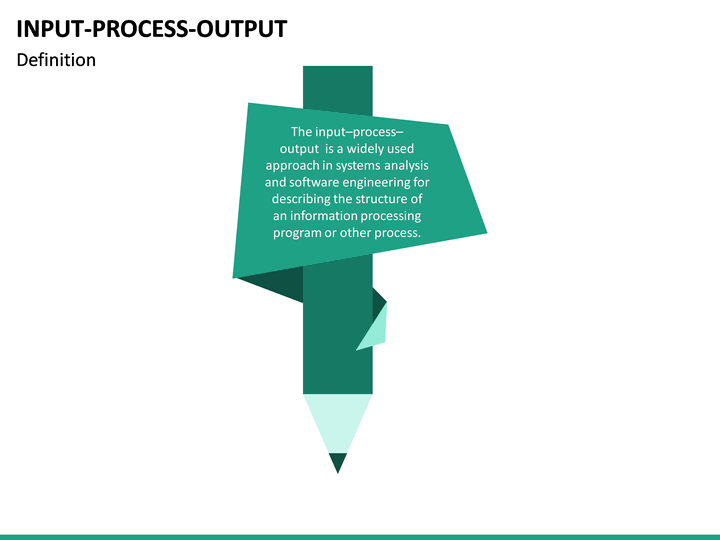 Our designers have included universally appealing illustrations to draft this set. 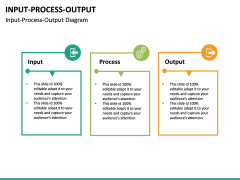 In this way, you would be able to convey something in a simpler manner and can easily get the attention of your audience as well. 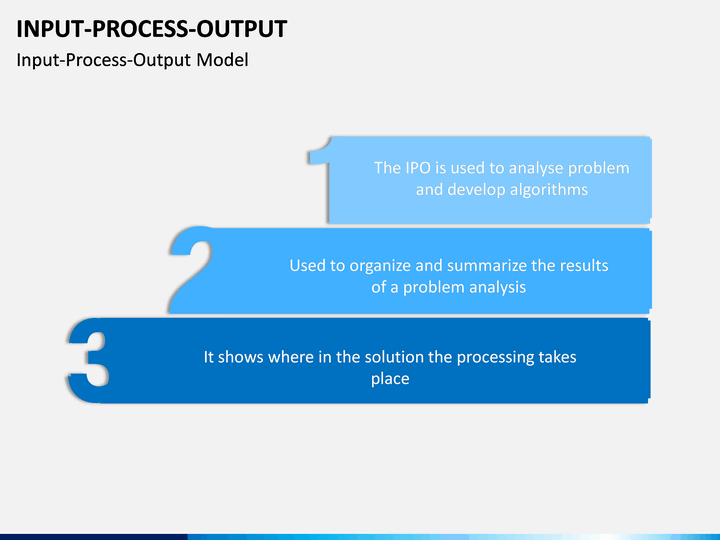 For all those individuals who want to draft an informative presentation on the IPO model in less time, this would be a highly useful template. 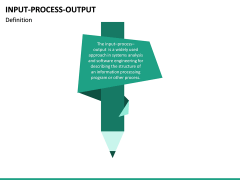 It can be used by software engineers, project managers, leads, educators, trainers, IT consultants, subject matter experts, system consultants, and so on. 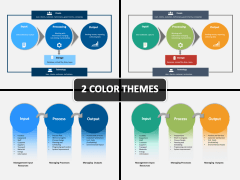 All you got to do is download this template and pick the color theme of your choice. 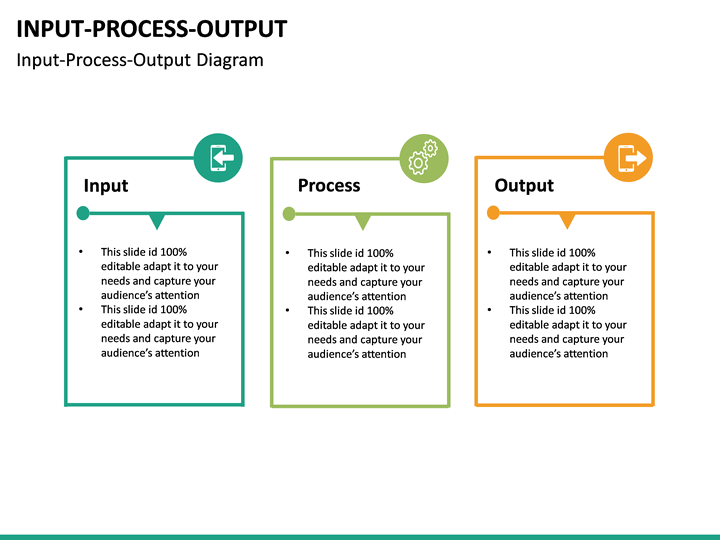 Make the needed adjustments and be sure to grab compliments from your audience. 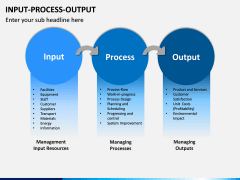 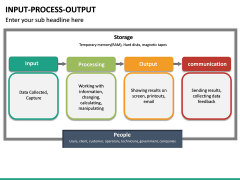 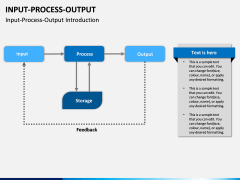 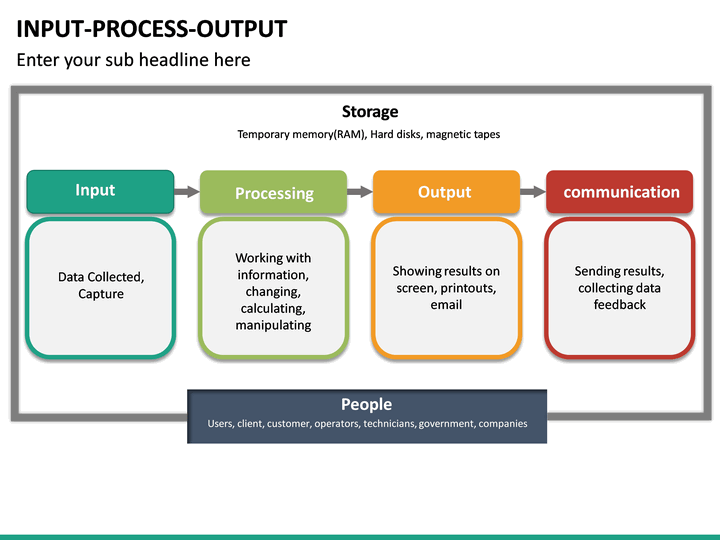 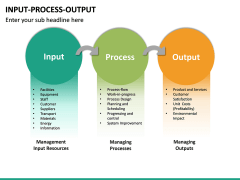 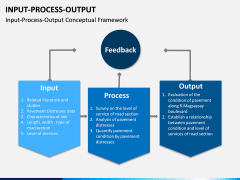 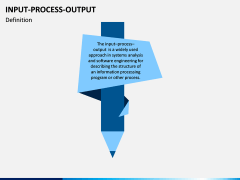 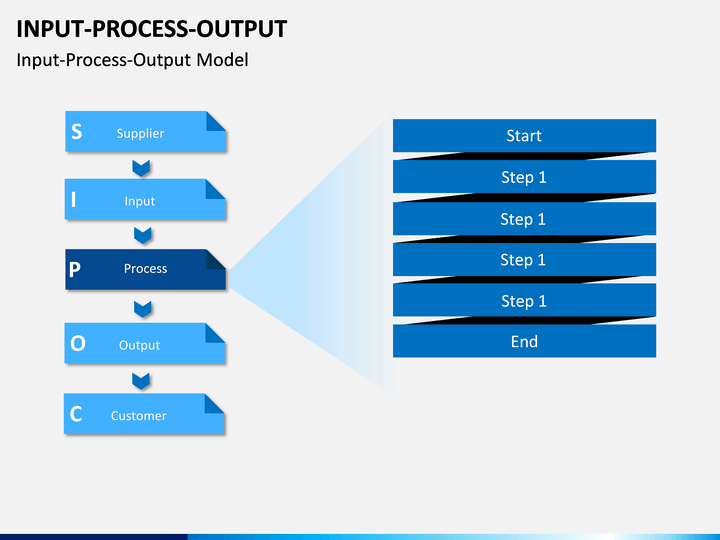 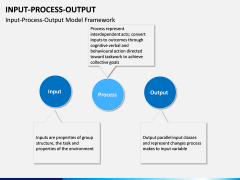 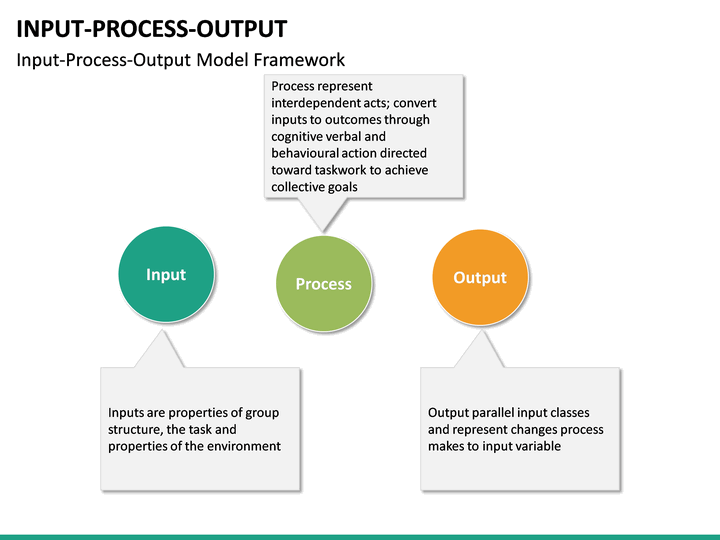 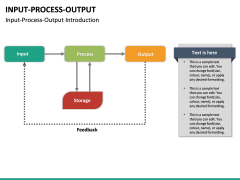 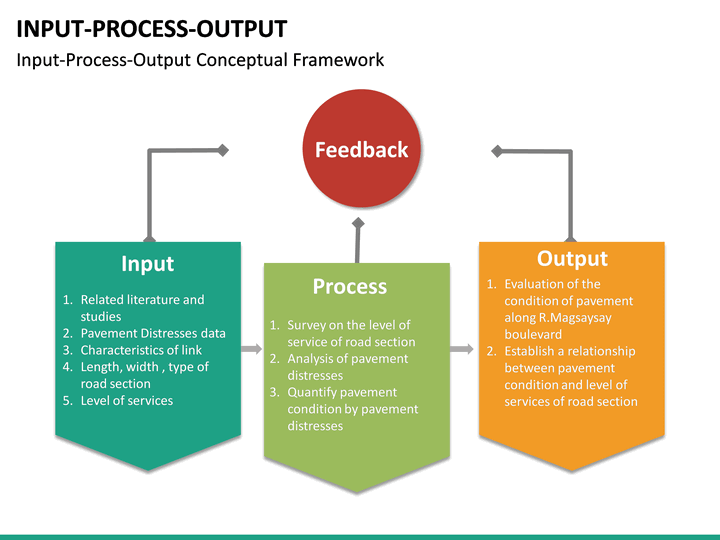 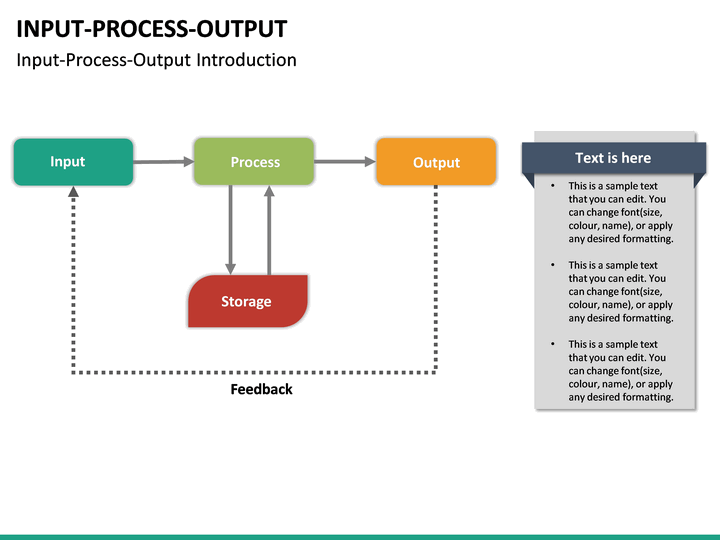 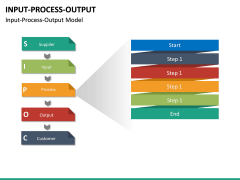 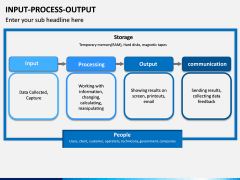 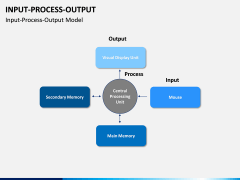 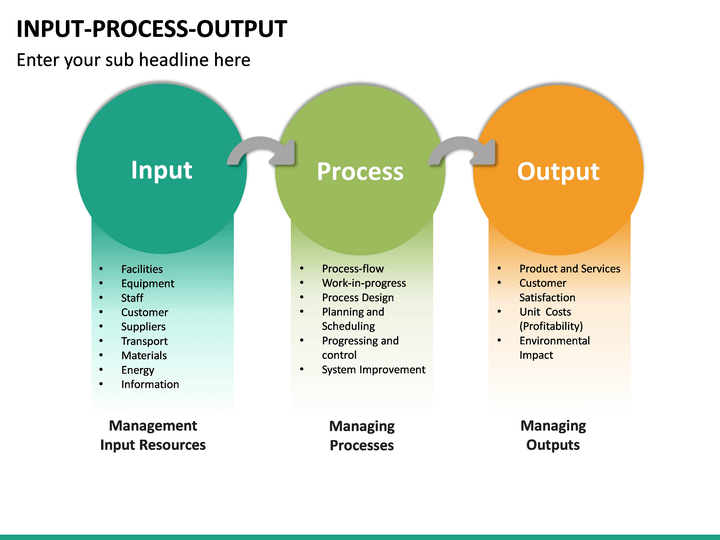 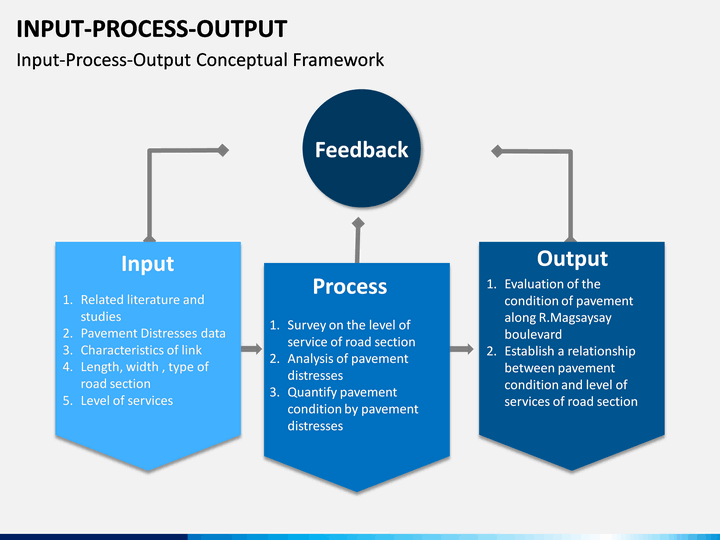 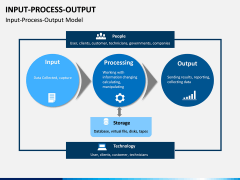 What is the Input Process Output Model? 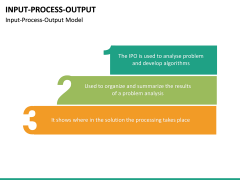 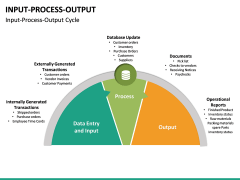 IPO (Input Process Output) is a commonly used model in software engineering, which is based on the 3 major components – input, output, and process. 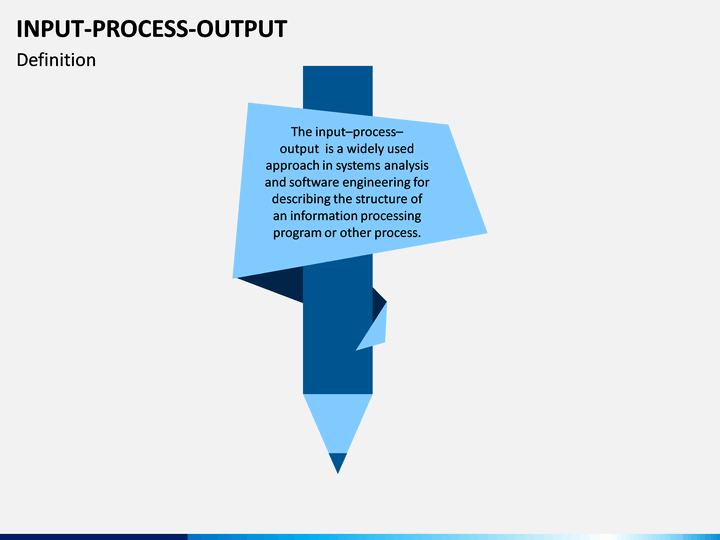 It also plays a crucial role in system analysis and describes how information is processed through different phases. 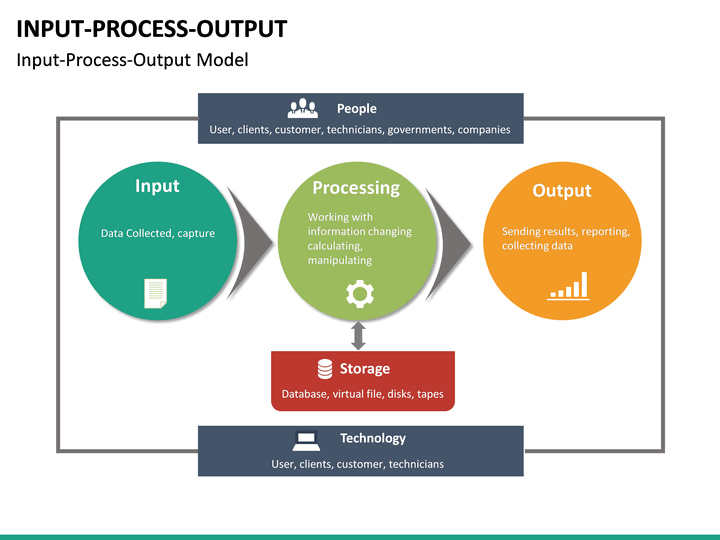 Once data is collected through an input mechanism, various steps like calculation, manipulation, etc. 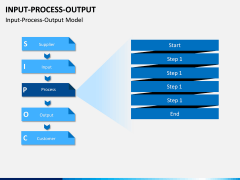 are processed. 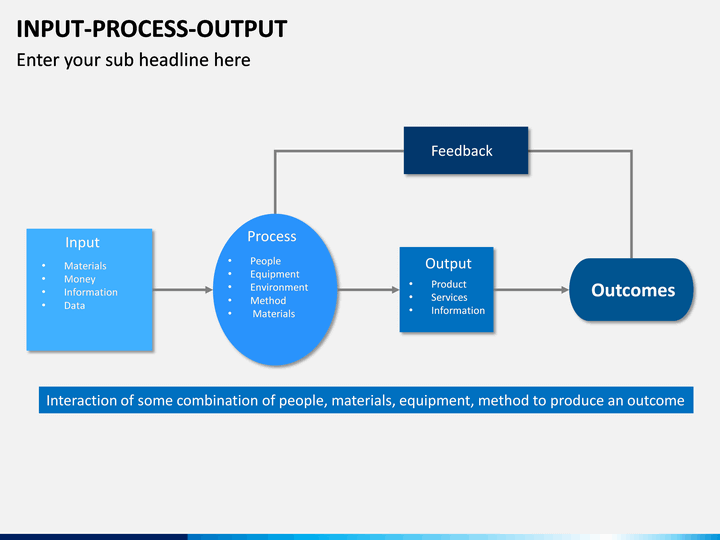 Lastly, the end results are passed to the output unit. 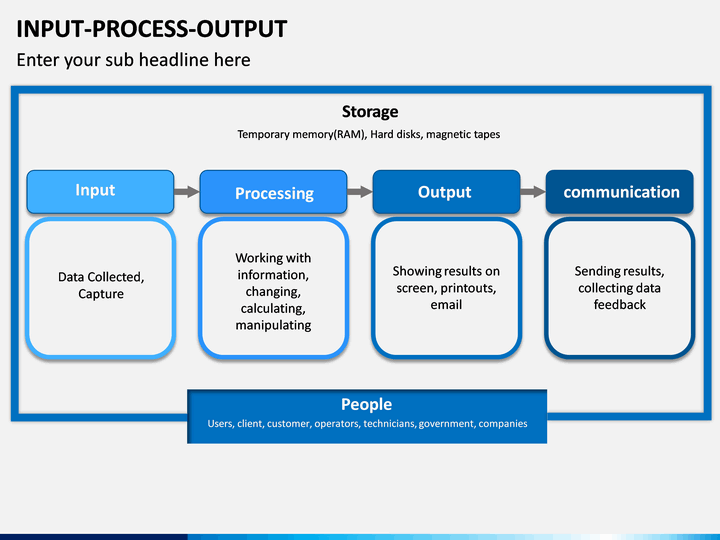 Sometimes, the processing unit can also integrate a storage system as well.